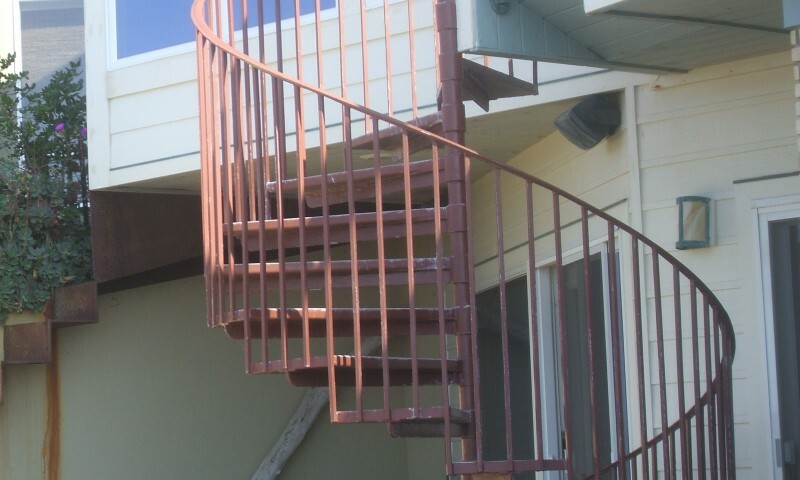 Spiral stairs are great for accessing different levels where space for a conventional stair system is dear. 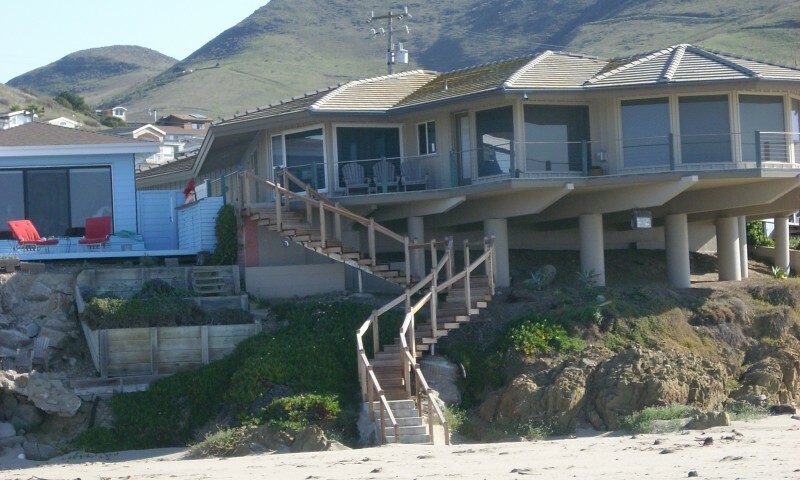 Each stair is carefully designed for accessibility, top and bottom, and durability. 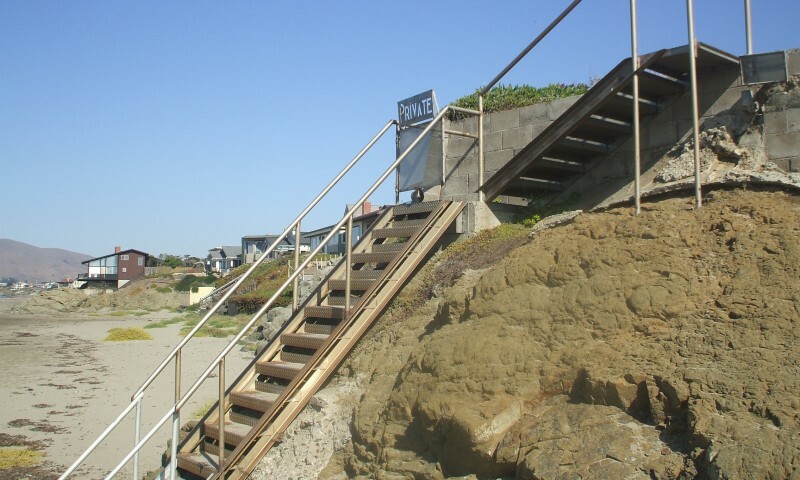 On the beach, where corrosion is such an issue, we opted for galvanized steel, which was then primed and painted. A crane was used to lift the stair over the house and lower it into place. 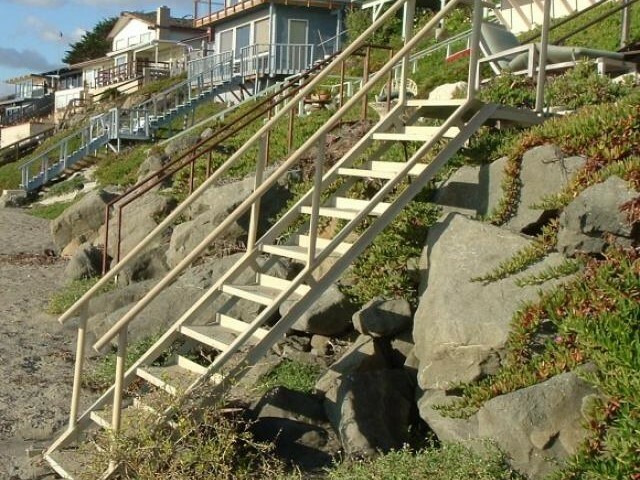 The client’s old wooden steps were washed away in a storm, so the lower section here was made of aluminum. There’s a single wheel, buried in the sand here, to enable the owner to wheel it up to the sea wall and hoist it over. The permanent upper steps and landing are made of stainless steel. No paint was used, hence the lightly burnished look. 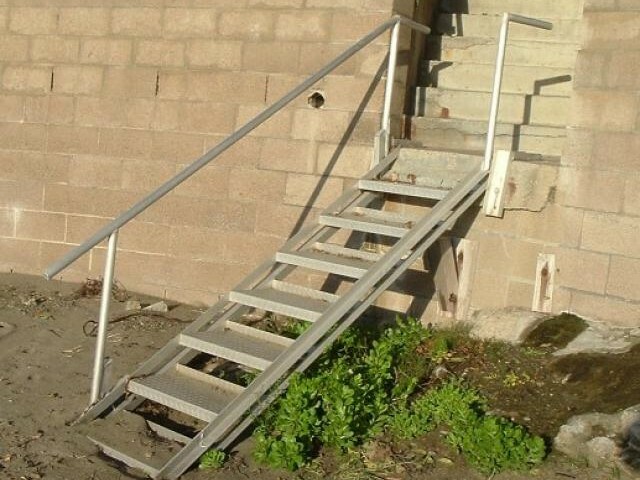 .Here’s another easy-t-pull stair. The diamond-plate treads are safest for sure footing, and can be augmented with a grit that’s added during the painting process.